Home / Blog / Articles / OSTESA EU announcement on its pilot testing results! The pilot testing phase of OSTESA EU outputs started in October 2017 and just ended last April. 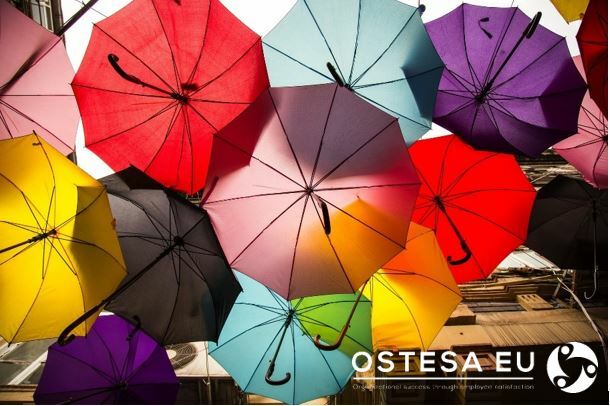 The OSTESA EU organisational climate assessment tool was tested between October 2017 and February 2018. During these months, around 245 employees and SME’s owners and managers from 52 different companies have benefited from the colour association assessment method as well as from the statement assessment method. The tool is now integrating the feedback received in the evaluation form and will be ready to exploit in June 2018. You can access to the platform here: http://tool.ostesa.eu. The OSTESA EU programme toolkits were piloted this year between March and April. From the 15 pilot sessions carried in Poland, Czech Republic, Italy, Cyprus and Portugal, around 142 participants had the opportunity to train 2 or 3 of the 11 organisational climate dimensions. At the same time, around 47 managers and 83 employees had the chance to share experiences, views and debate how can they improve their organisational climate. Additionally, the guide for general managers, owners of SMEs, line managers on how to improve organizational climate by changing their leadership style, was also tested by around 25 leadership experts, line managers, managers and consultants from the 5 countries above-mentioned. The pilot phase of this resource has started in February and ended in last April. The guide is now being finalised and will be ready to exploit soon. All the final resources developed under the project will be available here. Firstly, all outputs will be available only in English. However, you will have the chance to use all our resources in one of the other 5 national languages of the partnership: Polish, Portuguese, Italian, Czech and Greek. In case you need further information, you can either contact the project coordinator Ewelina Iwanek (ewelina.iwanek@oic.lublin.pt) or contact our national partner here.